Wattpad, the storytelling application with which millions of users upload original stories and fan fiction, is creating a publishing division, Wattpad Books. The company has worked with other publishing or media companies in the past to adapt stories from the platform into books and movies. “After” by Anna Todd is a standout, and the popular Netflix film “The Kissing Booth” is based on a story written by Beth Reekles, who uploaded the story to Wattpad in 2011, when she was 15. Now, Wattpad will cull the platform for stories to publish as books under the new imprint, starting with six young adult titles this fall. The company will use what it calls Story DNA Machine Learning technology to take “the guesswork” out of the publishing equation, said Allen Lau, the company’s chief executive and co-founder. 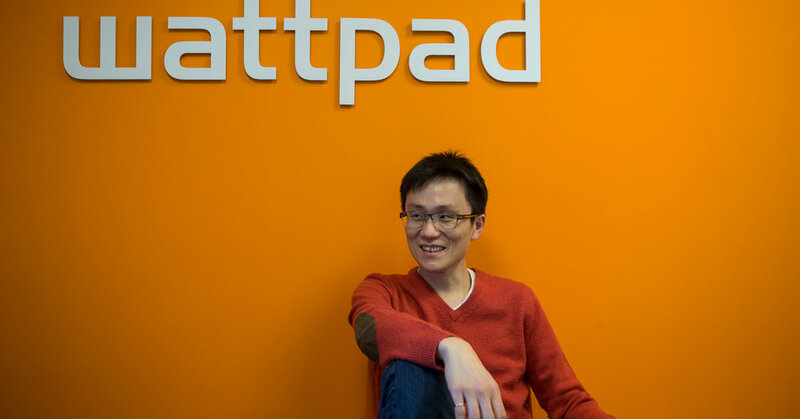 Whereas traditional publishing is based on individual editors’ tastes, Wattpad’s technology will scan and analyze the hundreds of millions of stories on the app to find themes or elements that might determine a story’s commercial success, Lau said. Wattpad will combine this “data driven” approach with human editors’ critical eye. “We’re able to take the opinions of 17 million users and what are they reading and what’s resonating with them as a starting point,” said Ashleigh Gardner, who will head the publishing division. The initial list of books were written by users whose ages range from late teens to mid-30s. “What Happened That Night,” by Deanna Cameron, is a teen psychological thriller about a girl who kills the boy next door without a clear motive, which Gardner compared to “Gone Girl.” Another book, “Trapeze,” by Leigh Ansell, is about a girl who grew up in the circus and suffers a life-changing injury. All the books have already been successful on Wattpad, where they will remain after they are published. The writers will be paid advances and royalties that Gardner said are competitive with industry standards. The benefit of their approach, according to Gardner, is that it corrects for the lack of representation in the publishing industry. “It is a bit of a monoculture, and editors who have similar backgrounds in some of the biggest cities in the world decide what the entire book buying public should be reading.” She cited “50 Shades of Grey” as a book that may not have been published without the community that rallied behind it. Other companies have tried similar approaches, such as MacMillan’s Swoon Reads, which has readers vote on young adult titles that the imprint should publish. They’ve recently started working with A+E Studios Partners to develop young adult content for television and film. According to Lau, Wattpad Books is part of the company’s “master plan” to revolutionize the publishing and media industries.